India has developed into a vibrant democracy over the 71 years of its independence and is now an economic and political entity that the world has taken notice of. It has been able to retain the secular fabric and uphold the sanctity of the constitutional provisions. It is now time to renew the historic relationship between India and the United Kingdom, especially when the latter will be entering a new phase of economic and political strategy post-Brexit. 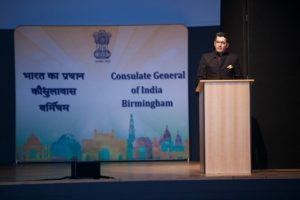 On the occasion of the 71st Independence Day, the Consulate General of India in Birmingham held a series of events on August 15, 2018. The celebrations started with the unfurling of Indian tricolour by the Consul General of India, Dr Aman Puri at the Consulate premises in Birmingham, followed by the rendition of the national anthem. The speech of Honourable President of India, on the eve of Independence Day, was read out by the Consul General. Later in the day, a grand celebration was held by the Consulate, in the heart of city at the iconic Town Hall, which has always been a hub of civic and cultural life in Birmingham. The ceremony saw a huge gathering of the dignitaries comprising of distinguished councillors, professionals, community leaders, business executives, media representatives, and other invited guests. 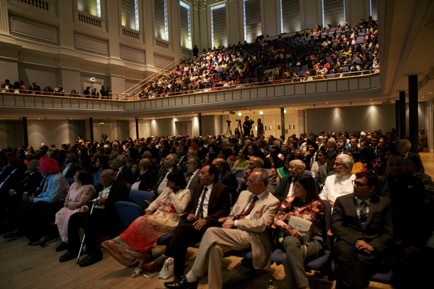 The event was attended by more than 800 enthusiastic audience from the Indian diaspora and British nationals. The evening commenced with the welcome address of Consul General Dr Aman Puri. He shared his pride as an Indian belonging to the world’s largest democracy, and the oldest continuous living civilisation. He made special mention about the various projects of Government of India, and also acknowledged the contributions of the Indian diaspora in deepening and strengthening India – UK relations. Mr John Crabtree OBE, Lord-Lieutenant of the West Midlands called the evening a moment for remembrance, for reflection and celebration of the birth of the world’s largest democracy. He appreciated the contribution of 2,00,000 Indians in West Midlands, contributing to almost GBP 1 billion trade between the West Midlands and India each year. Councillor Yvonne Mosquito, Lord Mayor of Birmingham, remarked that India is the jewel in Commonwealth, despite the significant challenges it has faced. 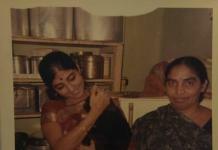 She also appreciated the collective contribution of Indians to the UK, and appreciated that the community is well integrated in British society, and a role model for other immigrant communities. Councillor Rajash Mehta, Mayor of Telford and Wrekin, emphasised on building bridges and bringing the diverse communities together. Ms. Neena Gill CBE, Member of the European Parliament, emphasized on the need for young British Indians to learn about the history of the country of their origin, be connected with their roots and contribute to the socio-economic development of India. She encouraged the second generation British Indians to travel to India and build linkages in the fields of education, culture, trade and commerce. She also mentioned that Indian community needs to play a bigger role in British politics as there was a dearth of young leaders. Professor Robin Mason, Pro-Vice-Chancellor (International) University of Birmingham, mentioned about the various progressive policies of India. He called India and UK as research powerhouses. Prof Mason informed the gathering that India Institute’s inaugural lecture in collaboration with the Consulate General of India will be delivered by former Foreign Secretary of India, Ambassador Dr. S Jaishankar. Ambassador Jaishankar is currently the President Global Affairs of the TATA group. Professor Asif Ahmed, Founder of Aston Medical School at Aston University and Founder & Chairman of MirZyme Therapeutics, remarked that the Indian society has been multi-cultural, multi-religious, multi-ethnic and multi-linguistic from time immemorial. He encouraged the gathering to do their best, and serve as a bridge between India and Britain in commerce, trade and higher education. Patriotism is the highest form of respect and love an individual has for his country, and it is important for the unity and prosperity of the country. Prominent Urdu poet and members of Geetanjali Multilingual Literary Circle expressed their feeling and love for India through poems. Performers from Tanushree, Atreyee and Chitralekha dance group performed India’s traditional folk and classical dances. Jasbir Wouhra, a renowned singer sang songs that infused a sense of pride and patriotism in everyone’s heart. Thereafter, Consul General Dr. Aman Puri honoured Mr. Paul Sabapathy, Former Lord Lieutenant of West Midlands for his outstanding contribution towards cohesion of the Indian and British communities in the United Kingdom. He also felicitated Ms. Piali Rai, Director, Sampad South Asian Arts and Mr. Jas Wouhra, Managing Director, East End Foods Plc. The event concluded with the singing of National Anthem. The programs enthused patriotic favour and brought forth the universal appeal of unity and brotherhood. It also gave a hope that the future brings more economic, political and technological cooperation between India and the United Kingdom.